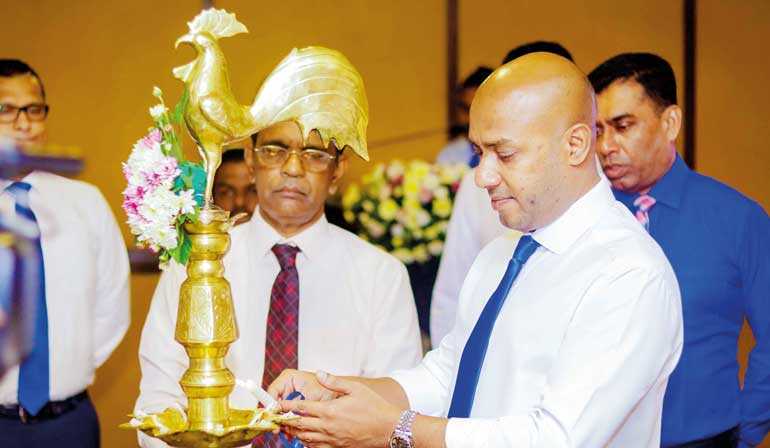 Minister in charge of Irrigation Water Resources and Disaster Management, Duminda Dissanayake, addressing the dignitaries at the launch event expressed his thoughts on the effective management of water quality and availability being a priority of this Government. The Minister spoke of sustainable water resource management becoming a crucial factor for the socio-economic development of Sri Lanka that faces seasonal variation and competition among water users. He stated that one of the biggest concerns for our water-based resources in future is the sustainability of the current and even future water resource allocation. The minister added that although Sri Lanka does not face a water resources shortage in terms of quantity, there are growing trends of stress in terms of availability subjected to seasonal variation and competition among sub-sectorial water users and pollution and contamination of the same. As Minister in charge of Irrigation Water Resources and Disaster Management, he recognised the importance of long term water resource planning for Sri Lanka and thus directed the Chairman and the board of directors of the Water Resource Board to take the necessary urgent steps to develop a water resource plan for Sri Lanka for the next 30 years. 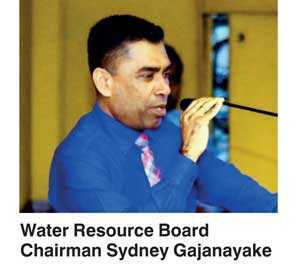 Water Resource Board Chairman Sydney Gajanayake, who spoke at the event concurred with the Minister while adding that there are 103 river basins in Sri Lanka out of which around 20 basins, each consisting of basin area of over 1,000 sq. km. The per capita water supply per year stands at 2.4 thousand cubic metres which is fourth lowest among the Asian and Pacific countries. Water resources available in the river systems are extracted for development of irrigation, water supply, hydro-power, industrial uses, other economic uses such as tourism, water sports, etc. As a result, water for environmental needs such as wildlife, eco-system maintenance and water for marginalised poor have been neglected. On the other hand, given the increasing scarcity of water resources, compounded by environmental degradation, urbanisation, and industrialisation, the need to rethink water resources management has been pushed to the top of national and global agendas. He then thanked the Minister for his contribution and encouragement towards the initiative and invited the participants to make their valued contributions to the said plan. The gathering was also addressed by experts including Eng. Sisira Kumara, Secretary, Ministry of Irrigation and Water Resources and Disaster Management, Prof. Athula Senarathne, Senior Lecturer University of Peradeniya, Dr. Manthrithilaka of IWMI and representatives of the Central Environemental Authority, National Water Supply and Drainage Board, and the Department of Agrarian Development. Participants included several senior hydrologists, chemists, civil engineers and representatives of related governmental institutions. All technical sessions were chaired by Prof. Ranjith Bandara who facilitated the discussions between the participants from key institutions in harvesting their contributions.